The International Barrel Racing Association (IBRA) hosts several events at the Central KY Ag & Expo Center throughout the year, kicking off with the spring meet. 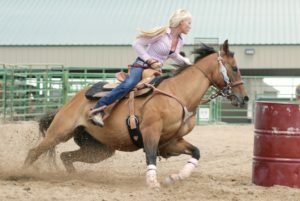 Barrel racing is a type of rodeo event that showcases the athletic ability of the horse as well as the horsemanship of the rider as both maneuver around barrels in tight turns. Follow the Central KY Ag & Expo event calendar or Facebook for more information about future events. 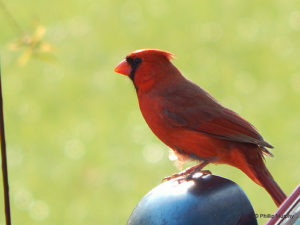 In the spring, we get a lot of special visitors including rose breasted grosbeaks, orioles, and indigo buntings, just to name a few. Dry land fishing is a popular tradition for many families in Casey County. Dry land fish aren’t fish at all; they are a species of edible mushrooms called morchella that grows from April to mid-May. Enthusiasts look forward to dry land fishing all year for the joy of the hunt and for the excellent taste. Morels are highly prized by gourmet cooks, especially those in French cuisine. Dry land fish are later sliced, breaded, and fried and resemble fish in the frying pan. Safety First: Always ask permission to hunt for dry land fish on private property. 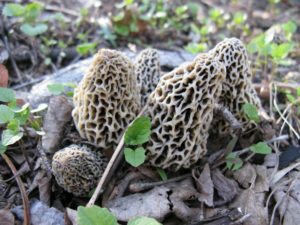 Inexperienced hunters should travel with more experienced hunters as there are several safety concerns that need to be considered when harvesting morels. 2775 South Fork Creek Rd. 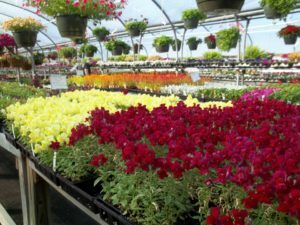 3765 South Fork Ridge Rd. 52 South Fork Creek Rd. 803 Thomas Ridge Spur Rd. 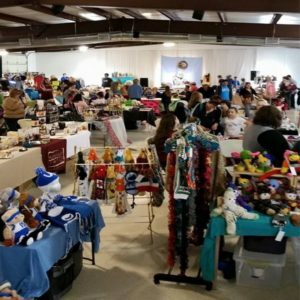 Spring Fling is an annual craft and vendor show that features goods and services from local artists and businesses. This event was started in 2012 and it is getting bigger every year! 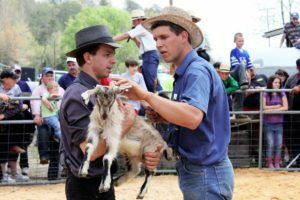 The Spring Fling is usually scheduled around Easter and there are activities for children, including getting pictures made with the Easter bunny! This event is held in the Pork Producer’s Building at the Casey County Ag Center. Follow the Spring Fling Facebook page for more details and future dates! Vendors, the booths are selling out quicker every year, so if you would like to reserve your spot for next year, send the administrators a message on Facebook. 525 South Fork Creek Rd.